Zorsy’s back with another solo request show and we’re going WEEKLY! Start your day every Wednesday with some fresh Consouls tunes. 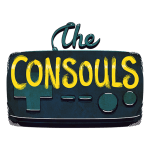 Recorded live on twitch.tv/theconsoulsband on February 20th, 2019. Catch the show live every Wednesday @ 9am AEST!